SELLERS ARE DOWNSIZING! 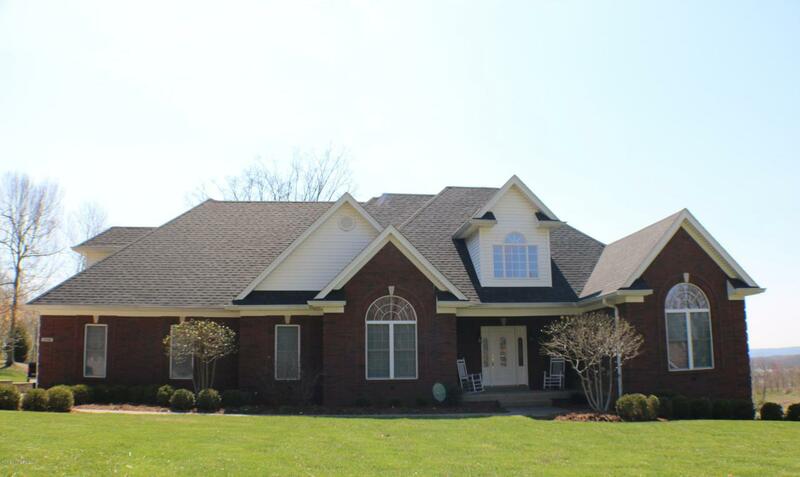 SPECTACULAR IS THE ONLY WORD TO DESCRIBE THIS VERY LARGE, 14 YEAR OLD, 1.5 STORY BRICK, ONE OWNER HOME, ON A PRIVATELY MAINTAINED CUL-DE-SAC ROAD IN DESIRABLE OAK HILLS. MAIN FLOOR FEATURES INCLUDE... A BEAUTIFUL EAT IN KITCHEN WITH OPEN ACCESS TO A LARGE FAMILY ROOM WITH GAS FIREPLACE, A FORMAL DINING ROOM, A LUXURIOUS MASTER BEDROOM SUITE WITH VANITIES AND A JETTED GARDEN TUB, TWO ADDITIONAL BEDROOMS, A PRIVATE OFFICE OR PANTRY AND A LARGE LAUNDRY ROOM. UPSTAIRS YOU WILL FIND A SPACIOUS TOY OR BONUS ROOM. THE FINISHED WALK OUT LOWER LEVEL INCLUDES TWO BEDROOMS, A FULL BATHROOM, A SECOND OVERSIZED FAMILY ROOM AND A SECOND KITCHEN AREA. THE LOWER LEVEL ALSO FEATURES 3 UNFINISHED STORAGE / MECHANICAL ROOMS. 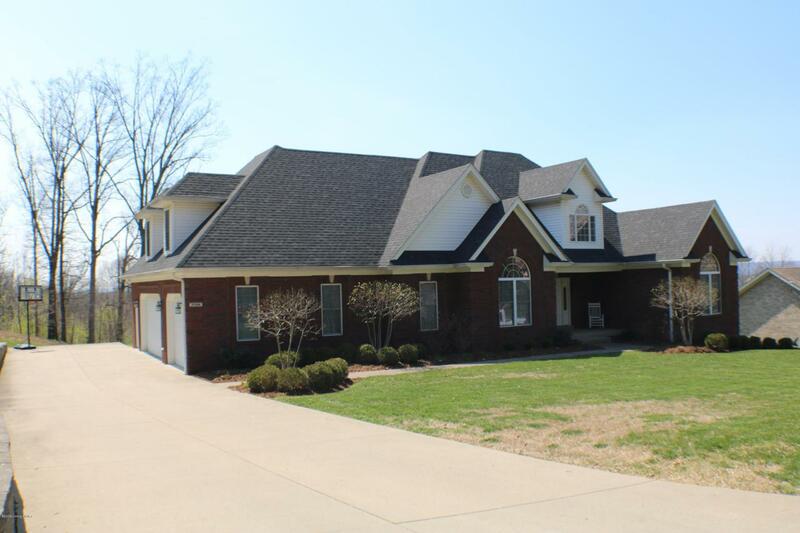 OTHER FEATURES OF THIS FINE PROPERTY INCLUDE...A THREE CAR ATTACHED SIDE ENTRY GARAGE, A LARGE REAR DECK, A COVERED FRONT PORCH, A NEWER SHINGLE ROOF (2017), ALUMINUM OVERHANG, A FULL SECURITY SYSTEM WITH VIDEO MONITORING, NEWER FLOORING, 3 HVAC SYSTEMS AND MUCH MORE. SELLERS STATE THEY WILL LEAVE ALL STAINLESS STEEL KITCHEN APPLIANCES WITH THE HOME AND WILL ALSO PROVIDE A ONE YEAR HSA HOME WARRANTY FOR THE NEW OWNER. 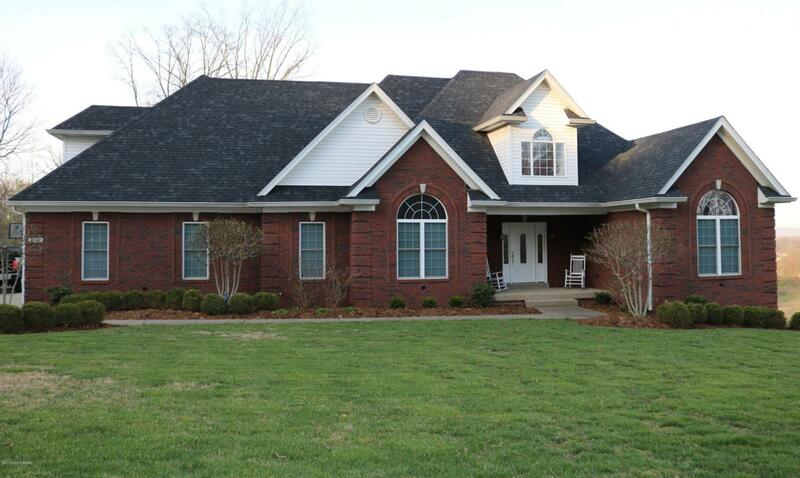 THIS HOME IS EXTREMELY CLEAN AND HAS BEEN METICULOUSLY MAINTAINED SINCE IT WAS CUSTOM BUILT IN 2005. PLEASE NOTE: TOTAL SQUARE FOOTAGE OF THIS HOME = 5401 AND BREAKS DOWN AS FOLLOWS...MAIN FLOOR = 2458 / SECOND FLOOR BONUS ROOM = 555 / FINISHED WALK OUT LOWER LEVEL = 1850 / UNFINISHED BASEMENT STORAGE AND MECHANICAL ROOMS = 538. THESE AMOUNTS WERE OBTAINED FROM ORIGINAL BUILDER BLUEPRINTS AND AGENT MEASUREMENTS, BUYER TO VERIFY TOTALS TO THEIR SATISFACTION. THIS LISTING CONTAINS NUMEROUS HIGH QUALITY PHOTOS WHICH CLEARLY SHOW THIS HOMES EXTRA FEATURES AND BEAUTIFUL DECOR. ALL SHOWINGS REQUIRE A 4 HOUR MINIMUM SHOWING NOTICE. SELLERS OR LISTING AGENTS WILL UNLOCK AND RE-LOCK FOR ALL SHOWINGS. ACTIVE AND MONITORED VIDEO SECURITY SYSTEM IS IN PLACE.